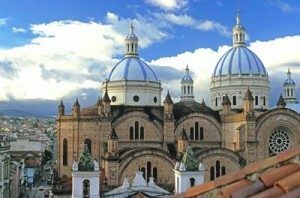 Our tours will familiarize you with life in the two main expat-inhabited regions of Ecuador: the coast, and the sierra. All - inclusive:You will pay one flat fee for breakfast and lunch meals, transportation and lodgings during the official tour. 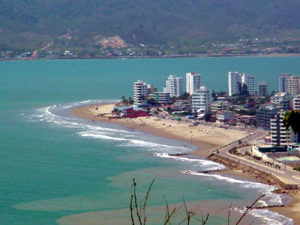 We cover as much ground as possible while focusing on Ecuador’s most popular expat destinations. We will be with you every step of the way, from the day you make your reservation until you reach the airport for your flight home. We also have a Yahoo! group, exclusively for alumni to stay in touch after the tour, post future plans, rentals they find, and more. This is not a real estate buying tour. There is no agenda to “sell” you anything. Our only goal is to introduce you to the Ecuadorian way of life. You will get information about property, homes for sale, and rentals, just so you can see what’s available at various prices. In all honesty, we have too much to cover to allow some agent or developer to drone on about his/her imaginary paradise that’s yet to break ground. Our company policy is to help people rent first, then use trustworthy contacts they’ve made to consider their buying options at length. If you see something that’s perfect for you, fantastic! We’re here to help and have attorneys you can trust with references from other expats a mile long, so you won’t have to pay the “gringo price.” There’s a lot more to buying real estate in Ecuador than you could ever imagine, and we’ll fill you in on all the precautionary details you may have even yet to consider. Get the story straight from the horse’s mouth! 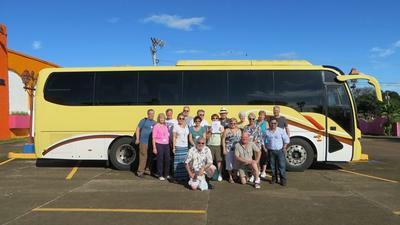 Everyone who has been on our tours says the highlight of the tour is the opportunity to visit with expats. You’ll have plenty of time to ask questions and get answers from people who have already made the move to Ecuador. 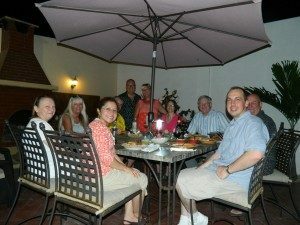 We’ll share meals with other expats, as well as invite them on the tour to help show us around. Learn from local experts about healthcare, visa options, shipping & moving, bank accounts, how to buy a car and much more!